I’m really excited to be including this project in this month’s Silhouette Challenge (The theme was "Holidays"). I love it for a multitude of reasons. 1. It is really easy! 2. It uses nothing but tiny pieces of scrap vinyl! 3. IT IS HELLO KITTY!! My kids love Hello Kitty and so I thought this project was even extra fun! 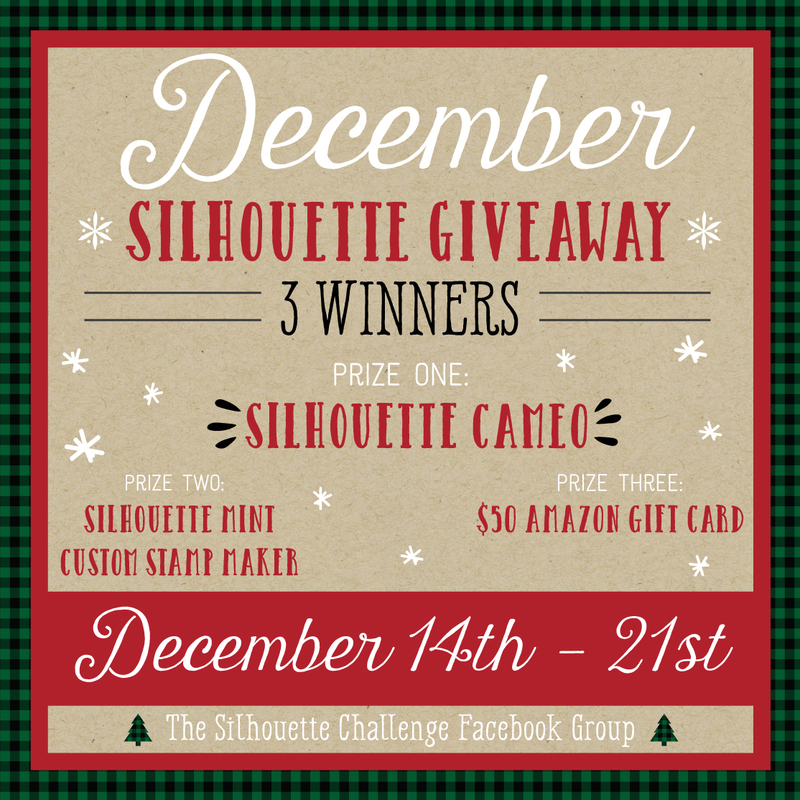 I also am so happy to let you know that if you don't own a Silhouette, this month you have a chance to win one so you can create these wonderful ornaments too! You need some white christmas ball ornaments. I actually used real glass ornaments I got at hobby lobby last year since I love the iridescent white finish, but if you wanted to do this project with your kids (or didn’t want fragile ornaments), I would suggest the unbreakable type. The other thing you will need is vinyl. I used red and black permanent vinyl and white indoor vinyl from Expressions Vinyl, since they have the best deals. (Although this is left over from other projects I’ve previously worked on). I used black (for the outlines) and red (for the bow.. although you could also use the more traditional pink.. i wanted her to be more “Christmassy”) and because I didn’t have yellow (for the nose) so I used white. Next I broke the cuts down into layers, so that I could add the red of her bow and the yellow of her nose. I've made this file available for download HOWEVER.. IT IS FOR PERSONAL USE ONLY. Please DO NOT download this file to create ornaments for resale. Hello Kitty is a trademark of Sanrio and you cannot create these ornaments for commercial use. Also, please do not distribute or alter the file itself. Just make sure your scraps are laid in the right position on the mat. You may notice I’m using a Cricut mat in my Silhouette machine. Yep.. they work! And I like the Cricket mats better because they are thicker, stickier and cheaper! (Sorry Silhouette!) You do need to cut them down slightly (I just lay a Silhouette mat on top and line up the grids and then cut off any excess) but they work beautifully. I still use Silhouette mats for print and cuts.. but that is about it! Another little trick I have is that you can actually create any color vinyl you want! I mentioned earlier I didn’t have yellow for the nose, and I couldn’t color directly on the ornament since it had a high gloss finish, so I cut some matte white vinyl (Indoor Oracal 631) and used permanent markers to make it the correct color yellow. It works great! Once they were cut and weeded and I layered the vinyl for the bow and the nose before applying it. And then I applied the pieces one by one using a tweezers (there was no way I would have been able to get it applied correctly using transfer tape on the round surface. I think came out absolutely darling! Finally, since all my ornaments on my tree are dated, I thought I would add the kids’ names and year. 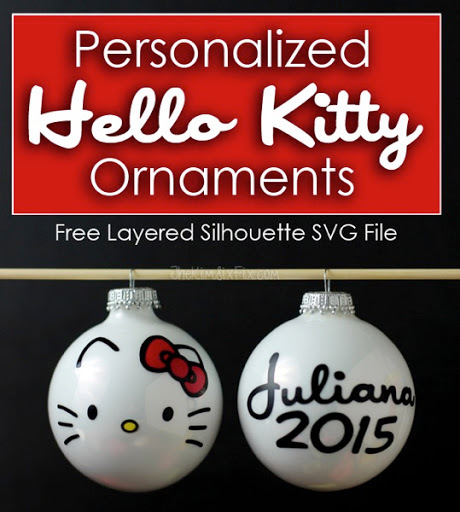 There are multiple fonts that claim to be “Hello Kitty” fonts, and tried a few. Needless to say, they love their ornaments. And I love how easy it was to make them!